With a gentle sea breeze and swaying palm trees, you might think you were in the Caribbean rather than Cornwall while reclining on a lounger next to The Nare Hotel’s outdoor pool. 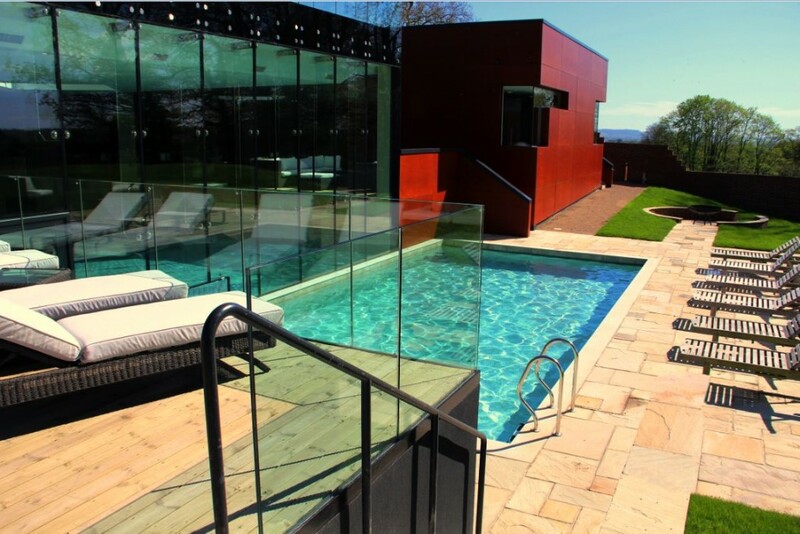 Heated to 30°C, the pool is open to guests from May until October and overlooks Carne Beach on the delightful Roseland Peninsula. 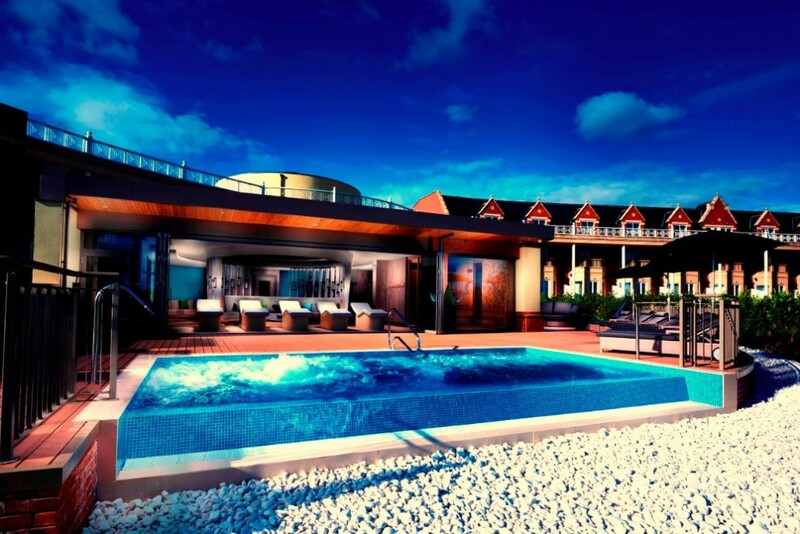 There’s also a hot tub, perfect for cooler days. 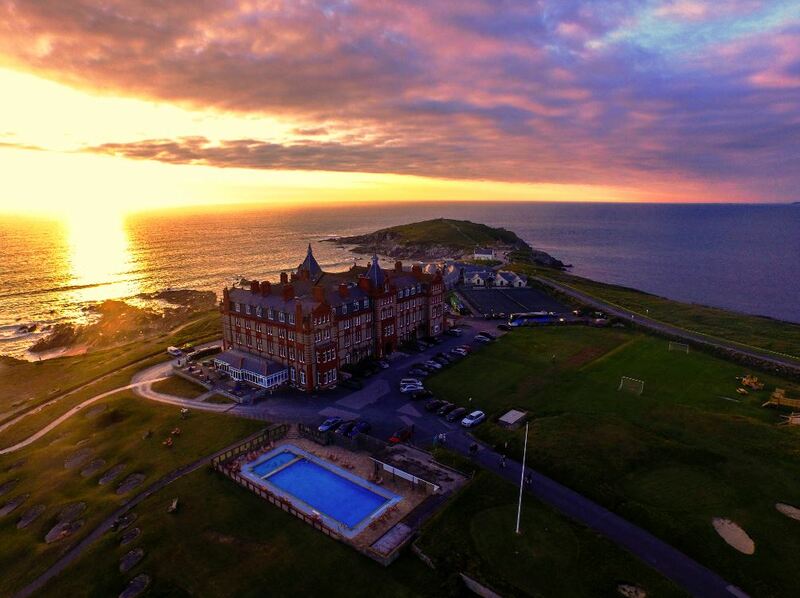 With a dramatic location on a clifftop overlooking Fistral Beach The Headland Hotel’s outdoor heated pool has jaw-dropping 360-degree ocean views. There’s plenty to soothe sore muscles after an energising swim – the hotel’s spa is home to a Cornish salt steam room, Swedish sauna, hot tub and indoor pool. 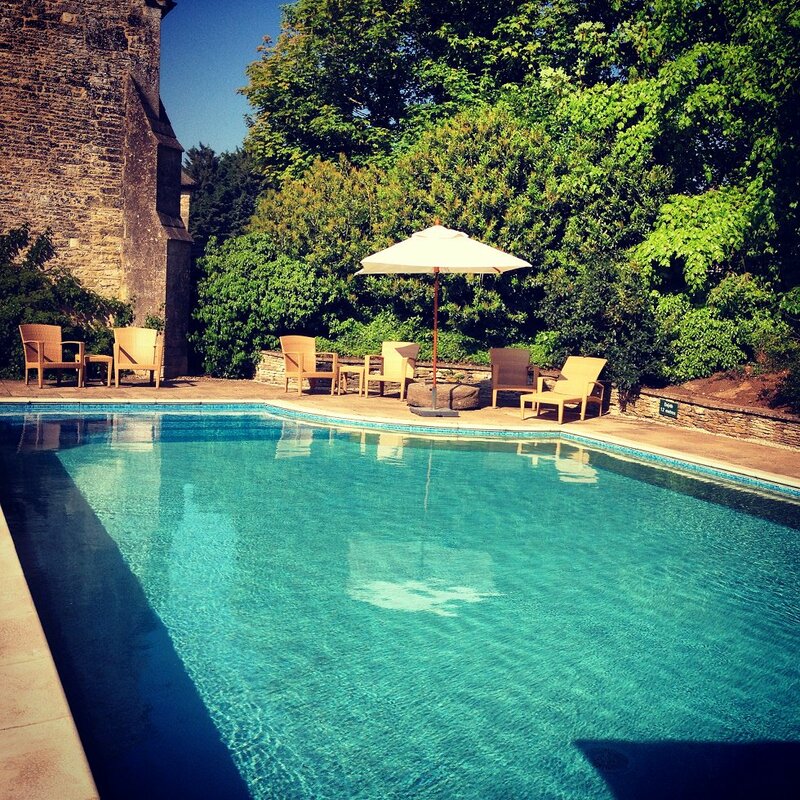 Surrounded by some of the Cotswolds’ finest countryside, and a big hit with families, Calcot’s outdoor pool is open daily (8am-8pm) until the end of September, with no time restrictions for children. 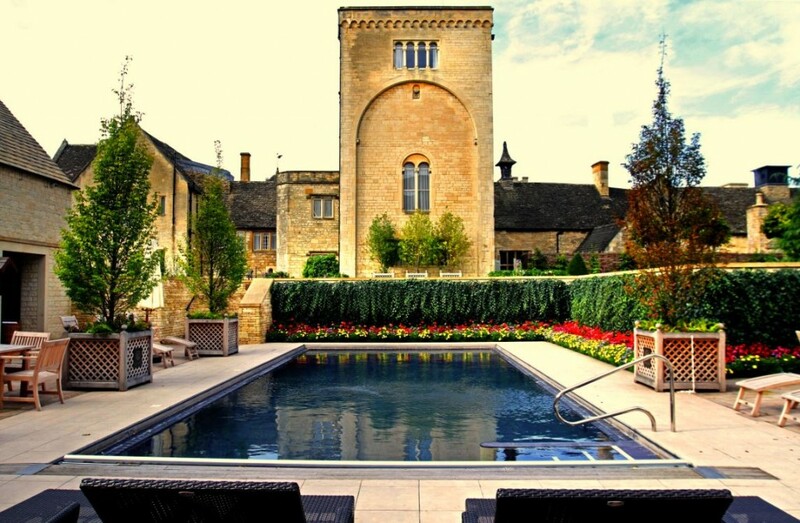 Ellenborough Park’s outdoor heated swimming pool is surrounded by a pretty terrace with beautiful blooms and Cotswold honey-stone walls. It’s open during daylight hours throughout the year and there’s also an impressive spa with a range of holistic treatments using Ishga and Ila products. 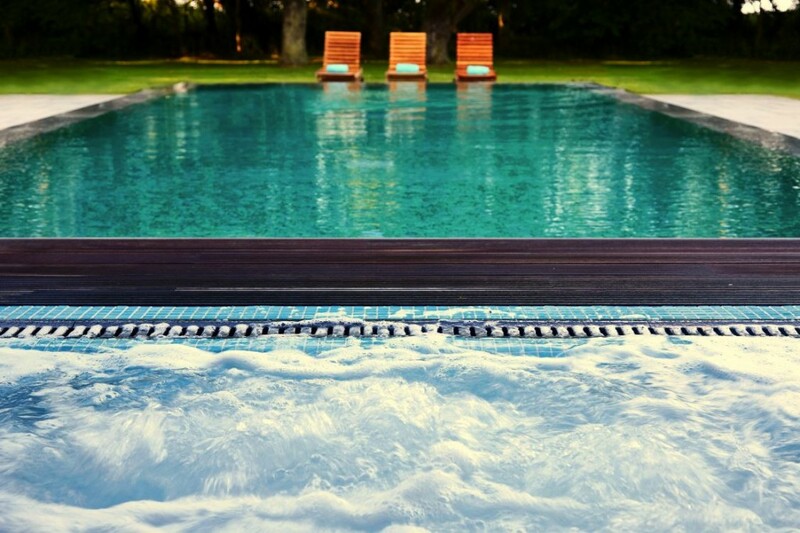 Ideal for spa lovers, Rockliffe Hall features a sumptuous Spa Garden with two outdoor hot pools, an infinity-edge hydrotherapy pool with massage jets plus a bubbling Jacuzzi. The adjoining garden room houses a traditional glass-fronted sauna, fire pit, water feature and heated relaxation loungers. 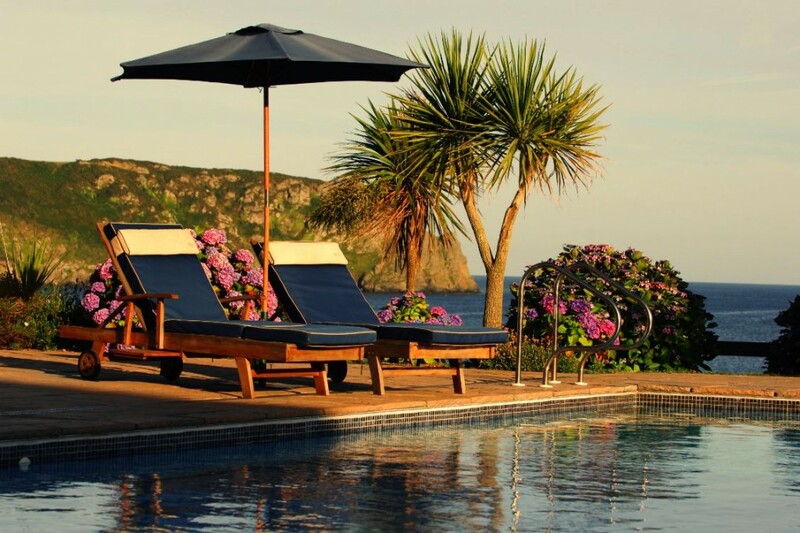 Situated close to Salcombe, in the exclusive South Hams area, Thurlestone Hotel has a suitably stylish heated outdoor pool with a separate children’s paddling pool. The property has spectacular sea views and is walking distance from a sandy Blue Flag beach. 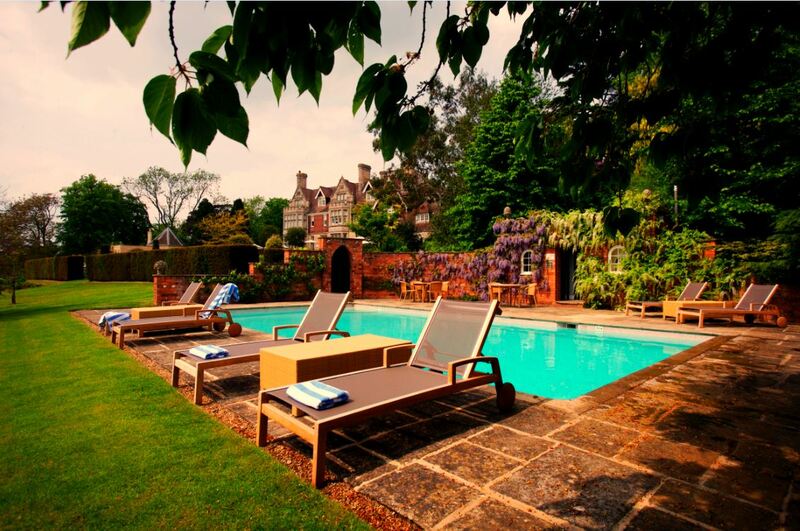 Just an hour from London, Maison Talbooth is a charming 12-bedroom Victorian country house hotel overlooking Constable Country near Dedham, in Essex. The outdoor pool is heated year-round and is complemented by a pool house with an honesty bar, a log-burning outdoor fire and a hot tub. 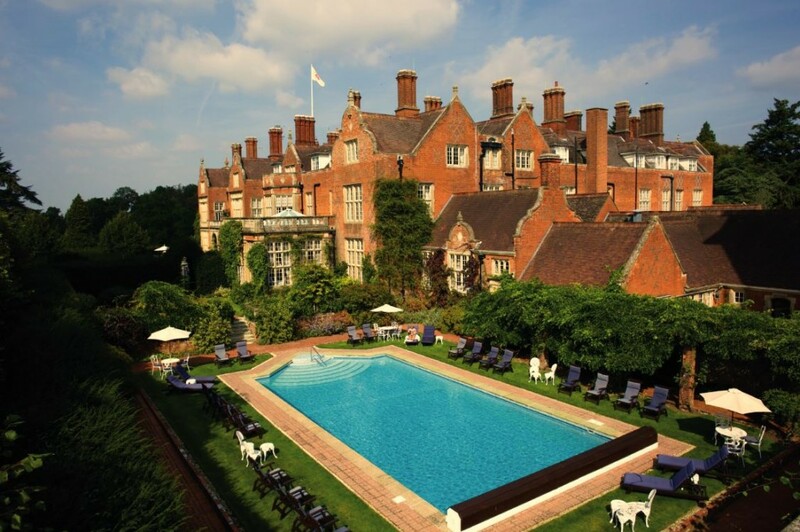 For a splash of Grade-II-listed grandeur, Tylney Hall Hotel’s outdoor pool is set in its own walled courtyard. This historic Victorian mansion is surrounded by 66 acres of rolling countryside and is home to the longest uninterrupted view of Hampshire. Hambleton Hall, near Oakham, has a secluded outdoor pool, sheltered by a wall of pretty wisteria, which is open throughout the summer months. Located in England’s smallest county, the pool has wonderful views across Rutland Water, a huge man-made lake which is a haven for birds and wildlife as well as offering myriad watersports to try. 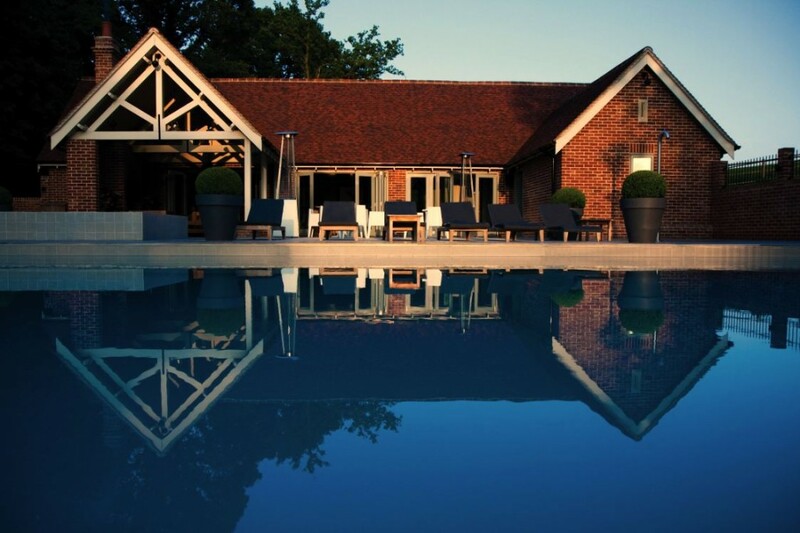 Deep in the bucolic West Sussex countryside, Ockenden Manor’s spa, built within a 19th century walled garden, has an adjoining indoor/outdoor pool enabling guests to swim easily from one to the other depending on the weather. On the south coast, near Arundel, bask in Bailiffscourt Hotel’s outdoor pool and savour the salty sea air wafting up from delightful Climping beach. 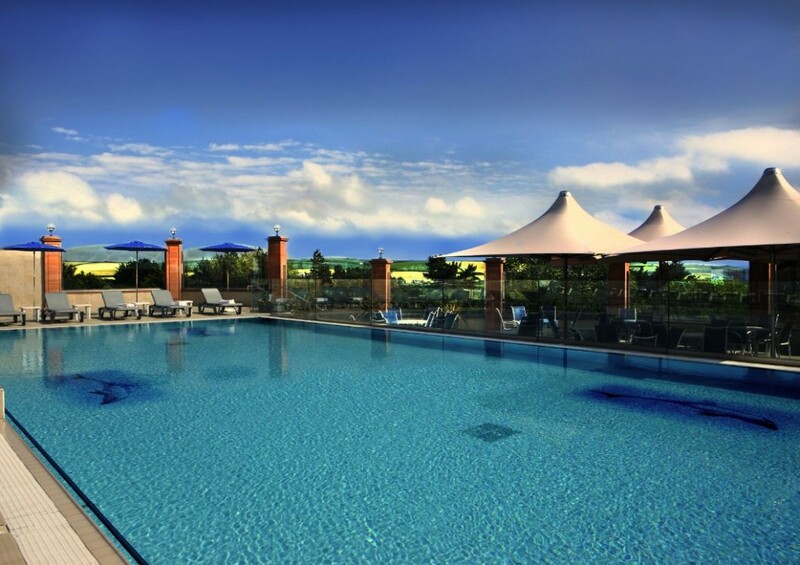 The pool overlooks the property’s pretty wildflower meadows and lavender paths. 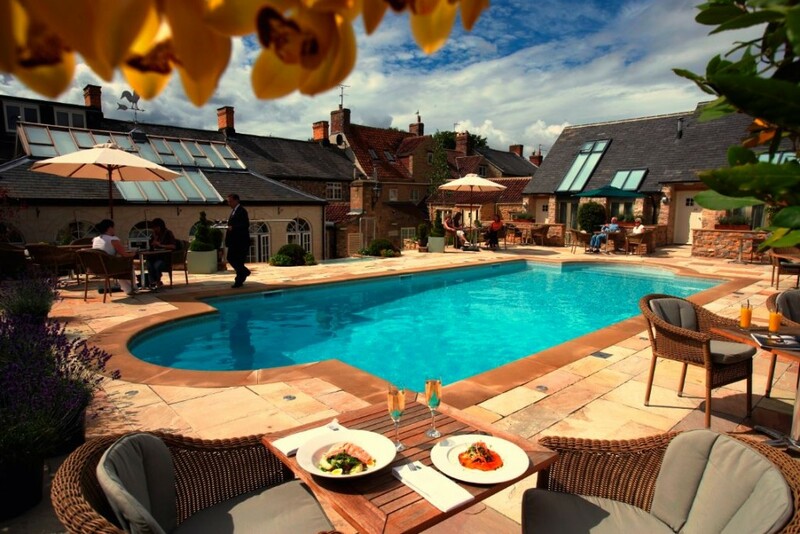 This summer, visitors to the outdoor pool at The Feversham Arms, in the pretty market town of Helmsley, will enjoy a taste of Provence (until 10 September), with al fresco dining and drinks with a Provençal twist at the pop-up restaurant on the lavender-filled terrace overlooking the pool.